Because I had to cancel the beginners workshop on 13 October, I’m offering two more dates for those who would like to come to a day’s workshop in my West Bridgford garden studio trying out watercolour techniques and covering the basics of this fascinating medium. You will go away with some work that you will be proud of and which will make you astonished at your own skill! You’ll work hard but it will be fun! 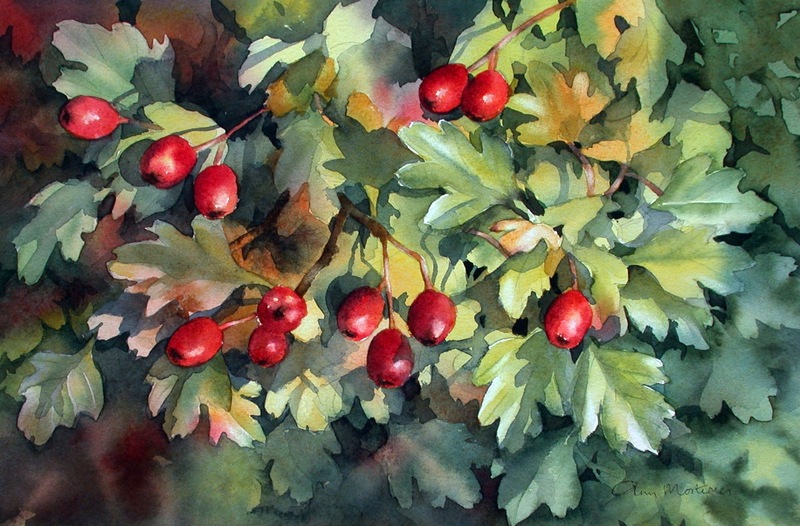 I’ve uploaded a watercolour I finished yesterday from a photo I took last year of hawthorn berries. They’re adorning the hedges again with their bright jewel colours…love this time of year!